How to move a contact from one organization to a new one? 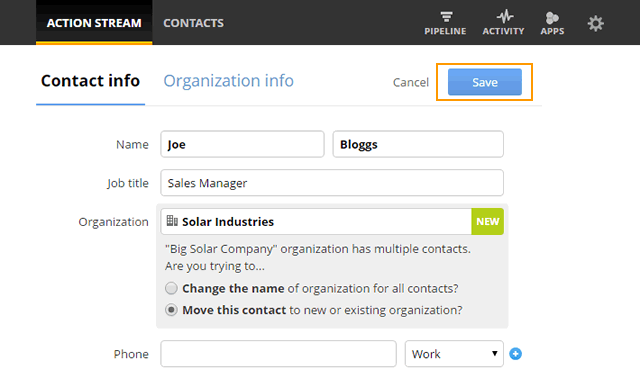 You can easily move a contact from their current organization to a new organization which does not already exist in your CRM. Open your contact and select Edit. Enter the Organization name you wish to move this contact to. Note: If this is a new organization name, the green NEW icon will appear. 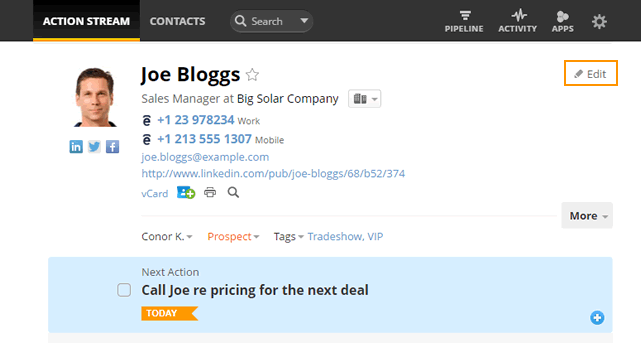 Move this contact to new or existing organization? will be automatically selected. Change the name of this organization for all contacts? Move this contact to a new or existing organization?